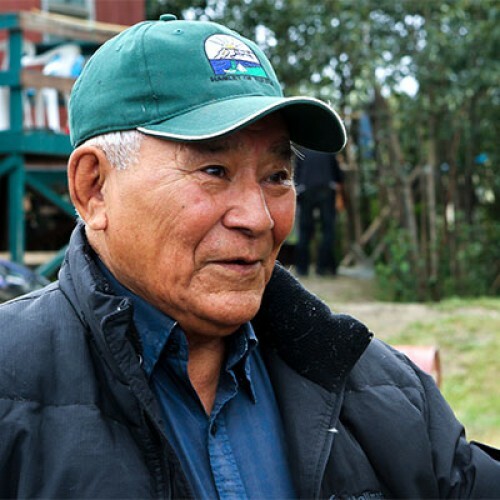 Tulita is located in the Sahtu Region of the Western part of the Northwest Territories, and has a population of just over 500 people, comprising of mainly Sahtu Dene. The town sits at the junction of the Great Bear River and the Mackenzie River (Tulita means “where the rivers meet” in the Dene language). Tulita was originally known as Fort Norman, and was established as a Hudson’s Bay Company Trading Post in 1810. It also acted as a transportation centre for British Naval Officer and explorer, Sir John Franklin around that same time period. Other communities in the region include K’áhbamį́túé (Colville Lake), Deline, K’asho Got’ine (Fort Good Hope) and Norman Wells. Artists in the Sahtu Region are well known for their work with moose hides, making traditionally sewn items such as moccasins, mukluks and mitts that are intricately decorated with beadwork, embroidery and locally harvested fur. 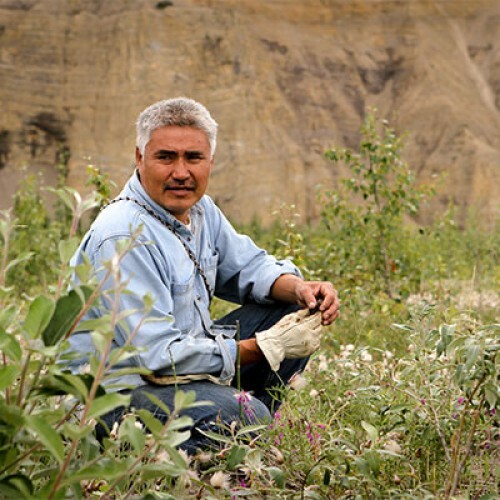 The Sahtu Dene and Metis are beneficiaries of the Sahtu Dene and Metis Comprehensive Land Claim Agreement. This Agreement also provides for the negotiation of self-governing agreements. The parties’ involved aim to have a draft of this Agreement-in-Principal completed in 2015. 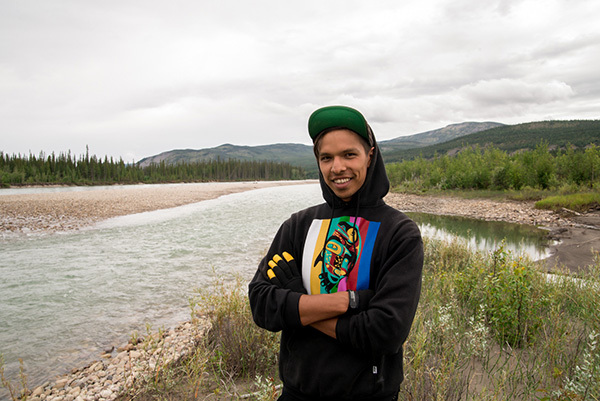 Eugene Boulanger is Sahtu Dene who grew up in Yellowknife and has lived in Vancouver working as a community activist for urban aboriginals. 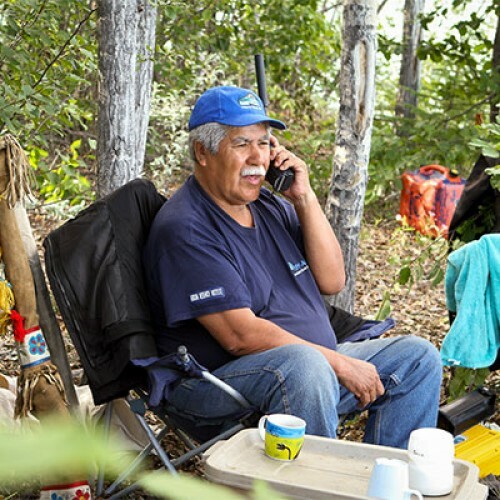 Eugene has since returned to the North and is actively building relationships for positive change within his home community of Tulita.